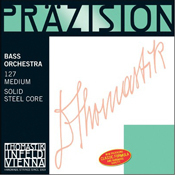 Thomastik maintains a prominent position in string making, through continued innovation and improvement of their string designs and processes. 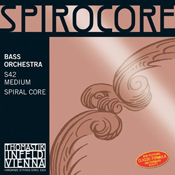 Spirocore remains a top choice for orchestral, and solo-pizz players alike. The Bel Canto set is also a top choice for the orchestral section professional. 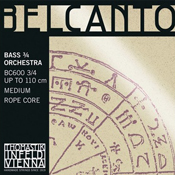 Bel Canto have become a top choice for orchestra section players. Steel rope core strings offer broad tonal palette, long lifespan, and easy playability. 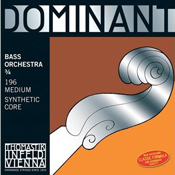 Nylon core produces a warm, gut-like tone. Easy bow response. Short Pizzicato sustain. 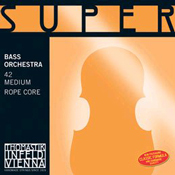 Solid core strings with bright tone and long life. 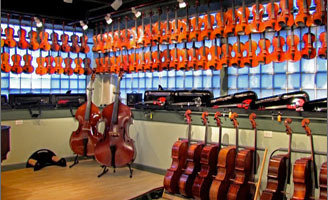 Suitable for student instruments. Steel rope core strings offer power and projection with long life. 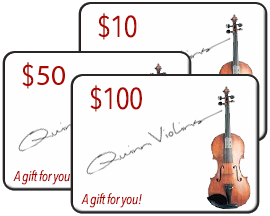 Weich strings are a very popular pizzicato choice.